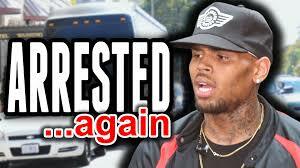 US singer Chris Brown who is a frequent guest in Marbella has been arrested on suspicion of assault with a deadly weapon after a woman told police he had threatened her with a gun. Beauty queen Baylee Curran told the LA Times Mr Brown had pointed the gun at her face after she had been admiring his friend's jewellery. Mr Brown's lawyer tweeted that his client was later freed, adding that the accusations were "demonstrably false". Associated Press reported that Mr Brown was released on $250,000 (£190,000) bail. Police went to Mr Brown's home following the emergency call early on Tuesday from Ms Curran, who by that time had left the property. Ms Curran told the LA Times that she and a friend had gone to Mr Brown's house with a business associate on Monday evening. She said she had been admiring the diamond necklace of a man who had been showing off his jewellery when the man got angry and told her to back away. That is when she says Mr Brown pulled out a gun, pointed it at her face and told her to get out. "If somebody put a gun to your head, what would you do? Call the police," Ms Curran said on her Instagram account, AFP news agency reported. Once at Mr Brown's sprawling mansion, police officers were allegedly denied entry and had to wait for a judge to approve a search warrant before going inside to search for a weapon. It wasn't until Mr Brown's lawyer arrived that the singer eventually emerged. During the stand-off, Mr Brown posted videos online accusing the police of harassment. "When you get the warrant for whatever you need to do, you're going to walk right up in here and you're going to see nothing, you idiots," he said in one Instagram video, posted to 30m followers. In another, Mr Brown also voiced support for the Black Lives Matter movement against police brutality, saying: "You're all the worst gang in the world, the police."